← The Varsity is looking for science writers! It’s Time for the AGM! 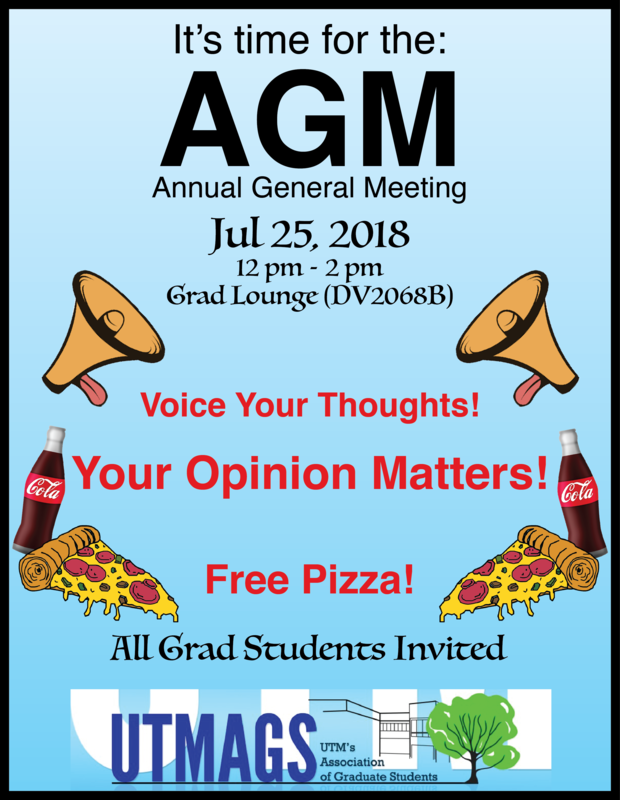 Come by the Grad Lounge on Wednesday, July 25th at 12 pm to participate in the Annual General Meeting, where you can share your thoughts about upcoming events for grad students! There will be a free pizza lunch included, and all grad students are invited to attend! DISCLAIMER: The content of this web site is entirely the responsibility of a campus organization which is independent from the University of Toronto. The opinions expressed do not necessarily reflect those of the University. The University of Toronto shall not be liable for any damage resulting from the use or misuse of the contents of this web site.